The 13th Joint European Summer School on Technology Enhanced Learning took place last week in the beautiful city of Aveiro in Portugal. This is an annual event, gathering PhD students from universities across Europe and providing them with opportunities to develop research skills, increase their knowledge base, collaborate with others in their own and complementary research areas, engage in debate, have access to experts in the field, and discuss their own work. Alexander Mikroyannidis delivered a hands-on workshop in this event, entitled: “Collaborative OpenCourseWare Authoring: The SlideWiki Platform”. The workshop introduced participants to the SlideWiki platform and its functionalities for collaborative authoring of Open Educational Resources (OERs). 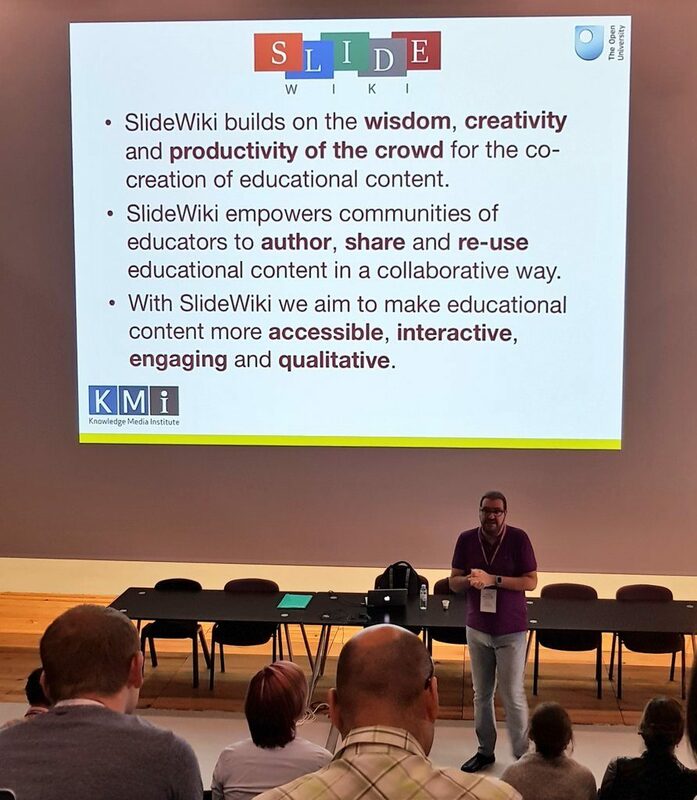 Participants were also introduced to the latest technological developments behind SlideWiki, regarding its integration with different educational platforms. Additionally, participants have had the opportunity to try the SlideWiki platform and perform a range of OER-related tasks, including finding OERs, reusing existing OERs, as well as authoring new OERs in collaboration with other participants. Participants were able to offer their feedback via discussions and complete a questionnaire evaluating SlideWiki in terms of its usefulness and usability.